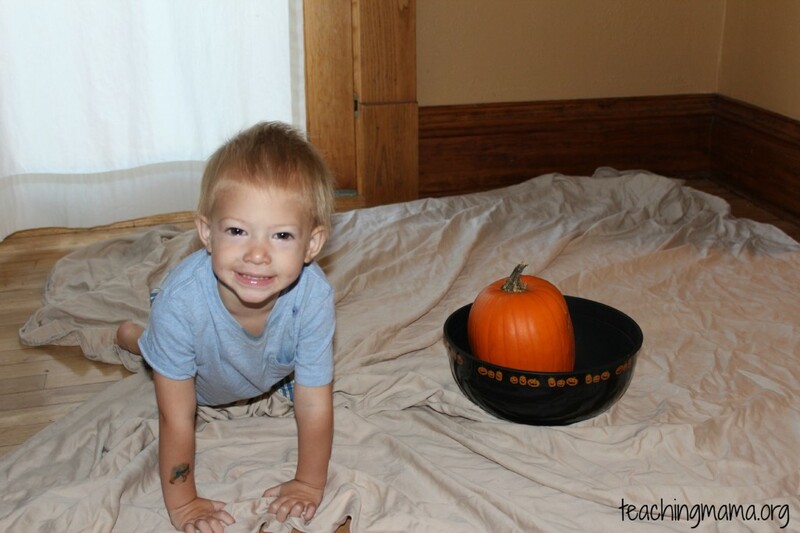 Pumpkins are everywhere these days, so I thought it would be fun to incorporate pumpkins into our Toddler Tuesday activity this week! 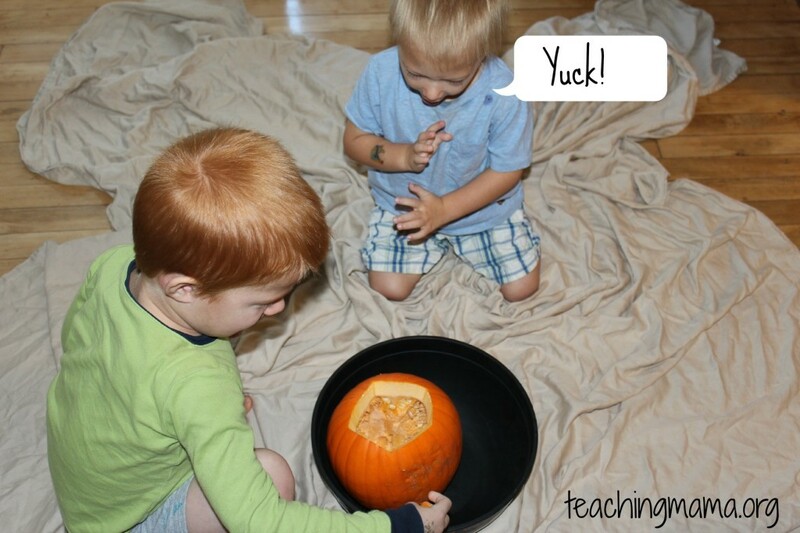 To start out, we took a pumpkin and discovered what was inside. …so brave big brother came to the rescue! 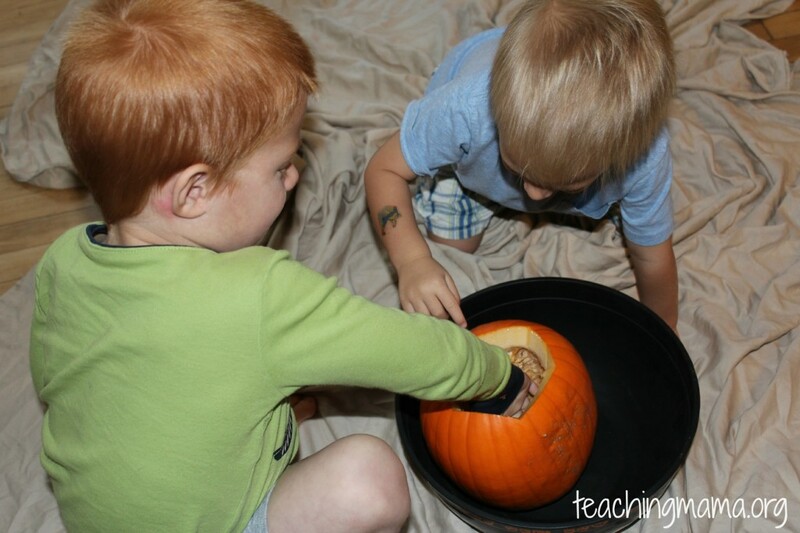 After we scooped out the insides of the pumpkin, we put them into a gallon-sized bag. 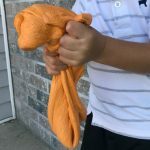 I decided it would be fun to make a sensory bag for my toddler. 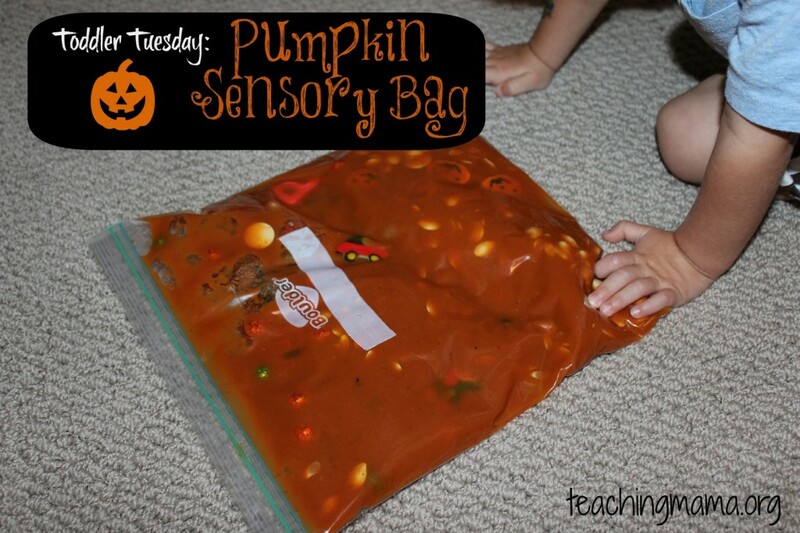 A sensory bag is a large bag filled with something to squish and feel with your hands. 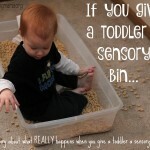 You can also put items inside for your child to find. 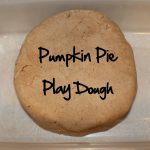 Since the pumpkin we opened was small and didn’t have very much inside, I added canned pumpkin puree to the bag as well. Then I added in some items around the house. He had so much fun squishing the bag all around! 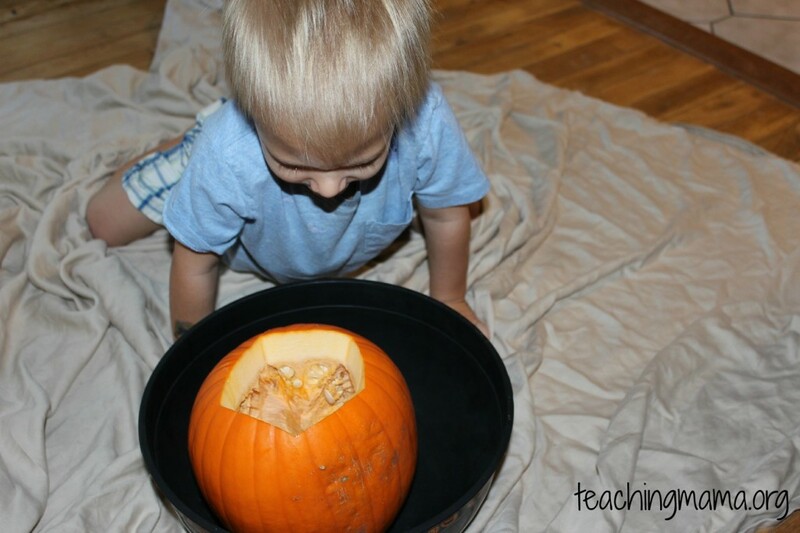 His little toddler fingers loved the feeling of pumpkin guts…especially since he wasn’t actually touching it and was staying clean! 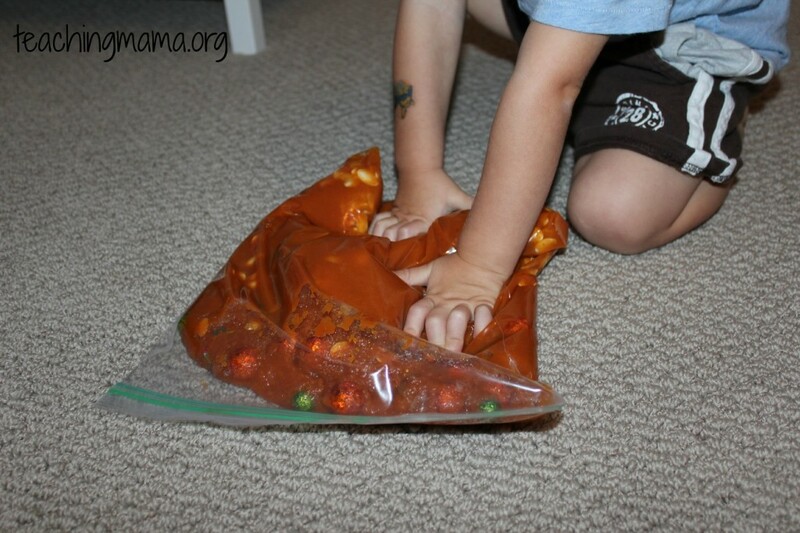 Then he would squish the bag around until he found what he was looking for. It was a fun game for my toddler! 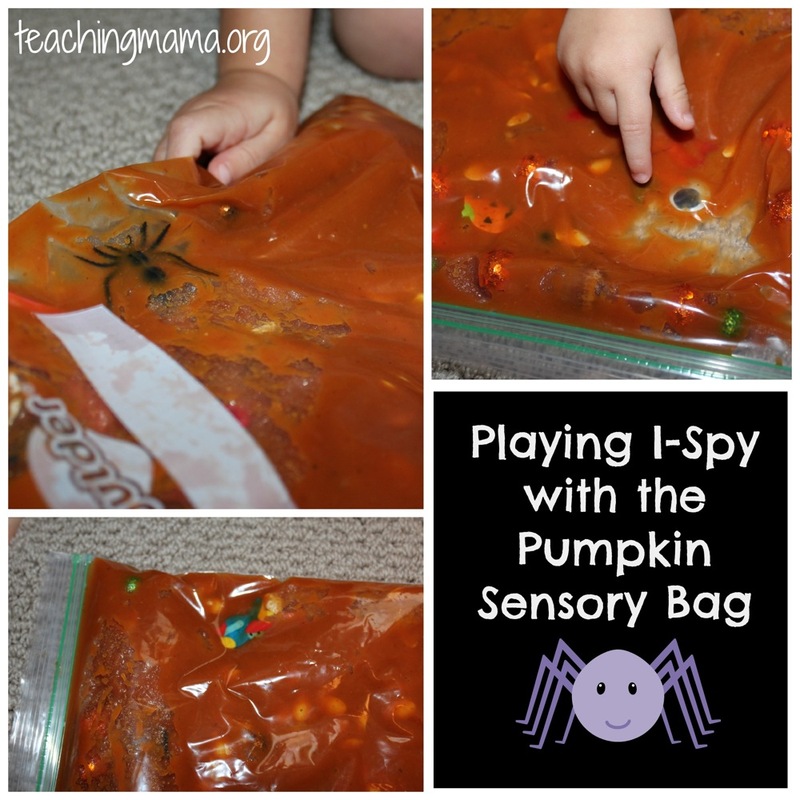 I loved this activity and can’t wait to try other sensory bags with my toddler! 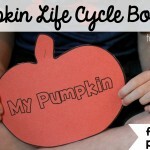 I love that you had your kids discover what was in the pumpkin before turning it into a sensory bag. What a great idea! How fun! 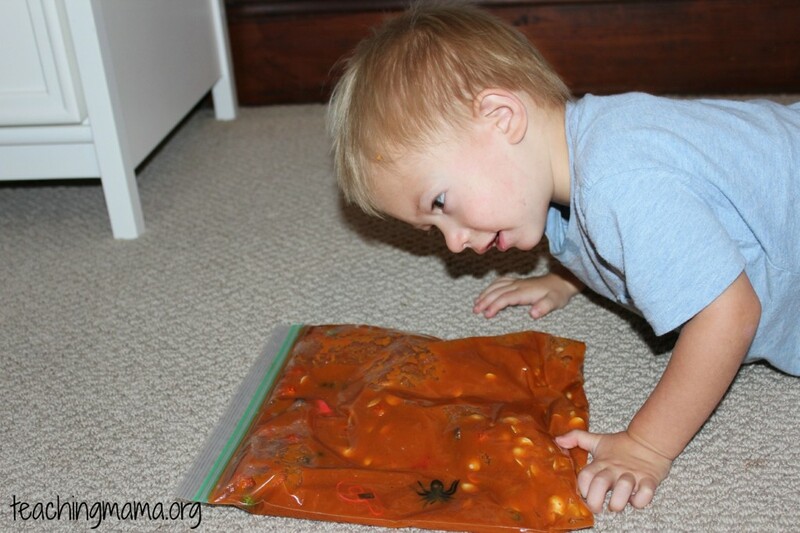 Like Kirstylee, I think it’s great you let them explore the pumpkin “guts” first and then turned it into a sensory bag to prolong the fun. Great idea! 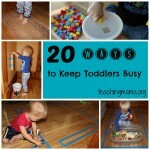 Thanks for linking up to Discover & Explore this week! What fun! 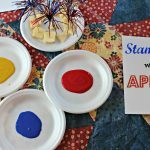 We are featuring your post this week on Share It Saturday over at Sugar Aunts. Thanks for linking up!